Woohoo! You’ve successfully completed the American Nurse Today survey! Now that’s over with, why not get to know us more and take a look around our site? I want free eBooks to Advance my Career. American Nurse Today eBooks are interactive digital tools full of insightful content, white papers and tutorials on trending topics that are assembled from the editorial staff along with supportive content provided by our marketing partners. Education is a valuable tool for advancing your nursing career. The 2017 Education Guide explains how to choose the right educational option for you, how to become a nurse educator or an advanced practice nurse, and how to land your dream job after completing your additional education. I want to learn more Best Practices. 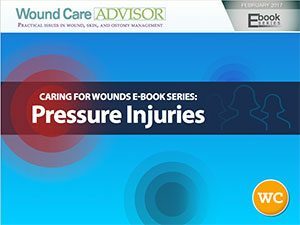 Accurate and considered wound assessment is essential to fulfill professional nursing requirements and ensure appropriate patient and wound management.